JOE MAXWELL, the recent founder of FINTOP Capital who was for many years known as one of Nashville's most successful fintech entrepreneurs, has confirmed that he's got a lot to smile about after completing his first portfolio exit as a venture capitalist. 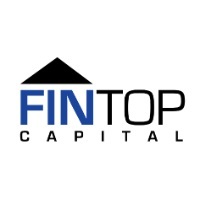 FINTOP announced earlier this week that it and other investors had exited Charlotte-based DealCloud, which specializes in CRM and deal management for investment banking and private equity firms, via the company's sale to Palo Alto-based Intapp. Intapp provides solutions for the $2TN professional services industry, globally. Terms of the transaction were not disclosed. In addition to FINTOP, DealCloud investors had included Philadelphia-based Hamilton Lane (NASDAQ:HLNE) and St. Louis-based Cultivation Capital, out of which FINTOP, itself, spun two years ago. Asked by Venture Nashville for any particulars he could provide on the exit, Maxwell said the exit brought "385% IRR and a multiple that far exceeded our investment thesis." Not surprisingly for an operator-turned-VC, Maxwell then praised the team that drove 8-year-old DealCloud, emphasizing that they had "exceeded every number, plan and growth expectation. Rarely do you get the privilege to work with such a talented team." Asked to reflect on his transition from operator to VC, Maxwell told VNC, in part, "I think my background as a 20-plus-year exclusively fintech operator was the best possible preparation for my VC role. Operator to Institutional VC is a far better fit for me than Angel investing." 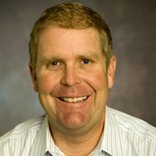 In addition, said Maxwell, through personal experience he's learned such things as the fact that "pricing a deal with realistic valuation should reflect the unavoidable reality that pivots are necessary in a company's lifecycle." He noted that within FINTOP, his team employs the mantra, "What gets measured gets done." That's important, because "investing in Growth companies equals risk. Managing that risk is always one of the biggest challenges. We actively monitor the KPI's of our portfolio and attempt to dispassionately deal with the facts -- the biggest risks will quickly unveil themselves and that helps the team to focus," he added. Inevitably, Intapp's objective is healthy growth: FINTOP General Partner Rick Kushel, who has also served as CEO of DealCloud, said the transaction allows Intapp to leverage its market position and balance sheet to establish a fuller industry-wide presence. Commenting on the deal, Intapp CEO John Hall, DealCloud Co-founder Ben Harrison and Intapp President Dan Tacone stressed that Intapp with DealCloud will now broaden support to all phases of its clients' relationships across the professional and financial services transaction ecosystem, which includes not only capital markets firms, but also legal, accounting and consulting firms. Asked about sourcing of the deal, Maxwell said the DealCloud exit transaction with Intapp was set into motion by Kushel and himself. 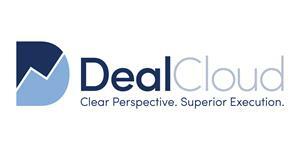 According to earlier media coverage, in 2011 DealCloud spun out of Falfurrias Capital Partners in 2011. The Charlotte-based private equity firm was founded by former Bank of America Chairman-CEO and Hugh McColl and Marc Oken, the bank's former CFO.